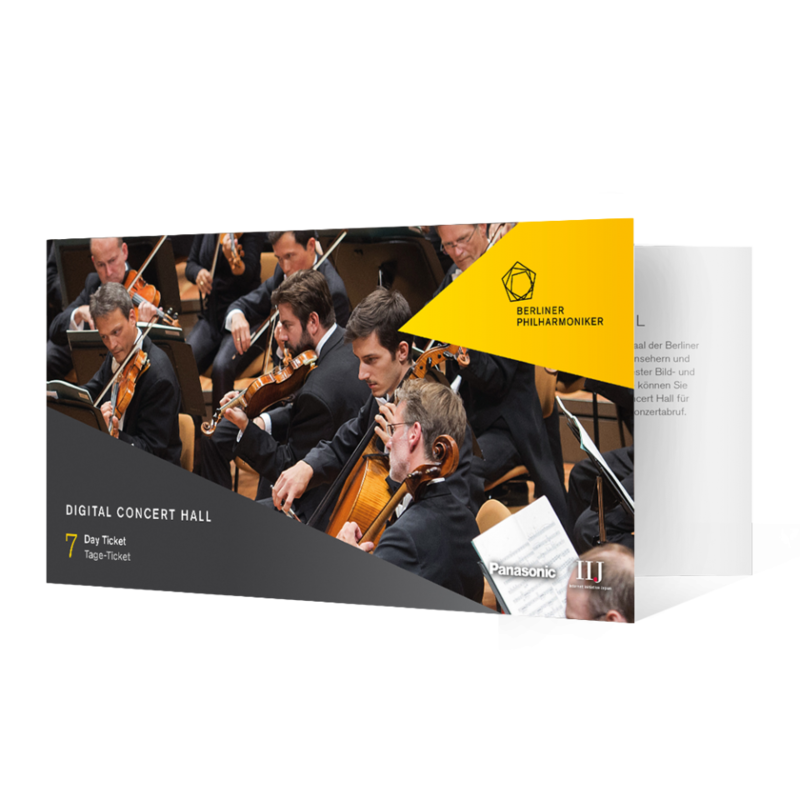 The Digital Concert Hall is the virtual concert venue of the Berliner Philharmoniker on the Internet. 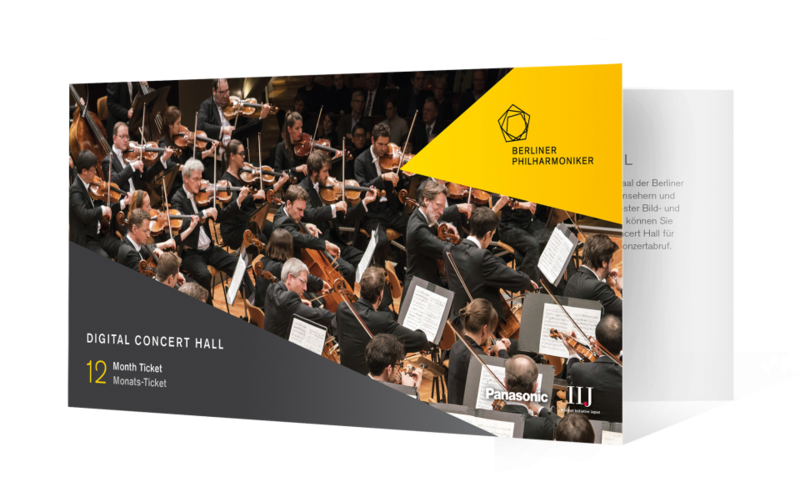 Here you can experience the orchestra performing live at the Philharmonie in Berlin in more than 30 broadcasts every year. Just a few days after each broadcast, a recording of the concert is then available to watch in our archive. 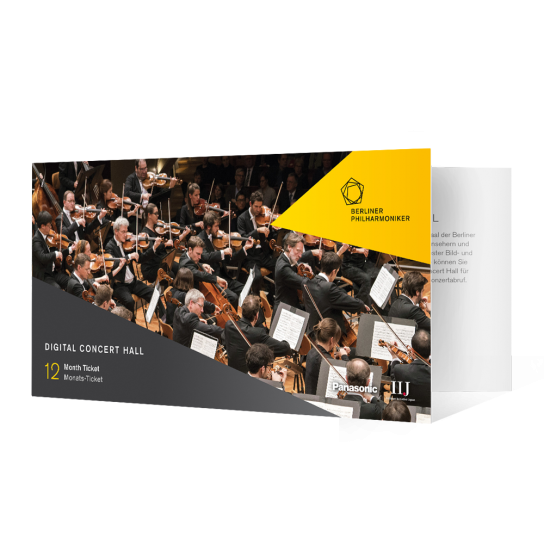 In this way, the Digital Concert Hall documents almost in its entirety the artistic work of the Berliner Philharmoniker and its musical partners – from principal conductor Sir Simon Rattle to famous guest conductors and soloists. The tickets offered here will be sent by mail. If you wish to gain direct access to the Digital Concert Hall, please buy a virtual ticket here.